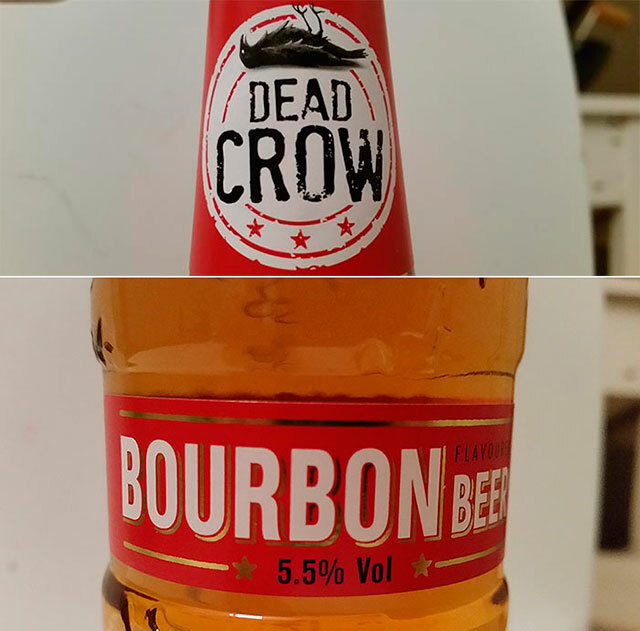 Dead Crow Bourbon Flavoured Beer is a Euro Pale Lager styled beer by SHS Drinks from England. The brewery is based in a brewery in Gloucester, Gloucestershire. I actually bought this while thinking it was a beer matured in used bourbon casks. But in fact, it’s a bourbon flavored beer like the title says (silly me). Of course the low price should have pointed out that there’s no maturing involved, it would definitely effect the price. In paper, bourbon flavoring sounds like a good idea. Well, exotic at least. And even the aromas and first impressions of taste felt okay. 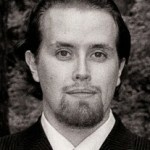 But after that, this beer gets too sweet for my taste. Almost so sweet, that it doesn’t even feel like a beer from time to time. 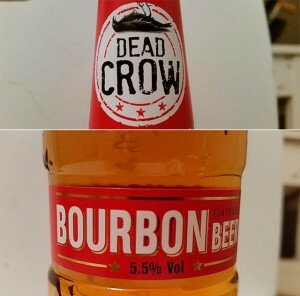 They should probably rename this Dead Crow Sugar Flavoured Beer. Nose: Delicate aromas, bit sweet but not like the taste. Hints of floral notes, delicately fruity. A very light lager. Taste: Not too sweet at the start, first few sips felt kinda good and the bourbon feel was present. But then it gets unnaturally sweet. Like über-sweet cherries from a tin can. Usually, if a beer gets a WhiskyRant! review, it is great but I made an exception because this had the bourbon influence. Extraordinary stuff, but I wouldn’t buy at again. I read somewhere, that this product has been discontinued – that’s no wonder. 2 Sweet and yet again sweet beer.